Build your registration form with our drag and drop form builder. Create as many custom fields as you wish and assign them to the profile page or use them internally. Add your personalized registration form to any page via shortcode, it is as easy as that! Simplicity is the ultimate sophistication. Add our login form on any page with its shortcode, there are options to redirect users to the page of your choice after both login and logout. You can also add a login link to your menu that automatically turns into a logout for logged in users. Each user will have his/her own profile page, with an eye-popping cover picture and avatar. The content area will feature a 2 column section with user's details and a List of their posts and comments. You will be able to also display all the custom fields you want. With users profiles, a searchable and sortable Users Directory becomes indispensable. 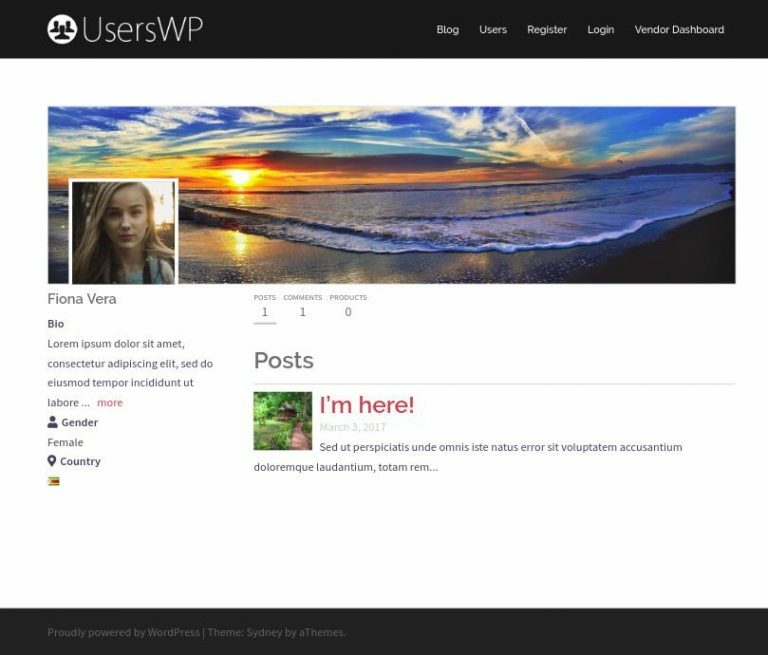 UsersWP offers all this, you can chose to display the members of your website, in a grid or list layout. Or move the template file inside your child theme and modify it to look as you want it. Developers: customize and extend the plugin infinitely using hooks and filters. Have a look at our documentation. UsersWP has been designed to be easily customizable. Level up your directory with our premium add-ons - 30 day money back guarantee! Of course, it may be that we already solved your problem. You can check first in our comprehensive, fully-searchable archive of instructions, manuals and troubleshooters. Across thousands of documents, we offer guides and in-depth tutorials on every aspect of using the plugin and creating a directory, from tips and tricks to developer guides and soon we will have a full codex.